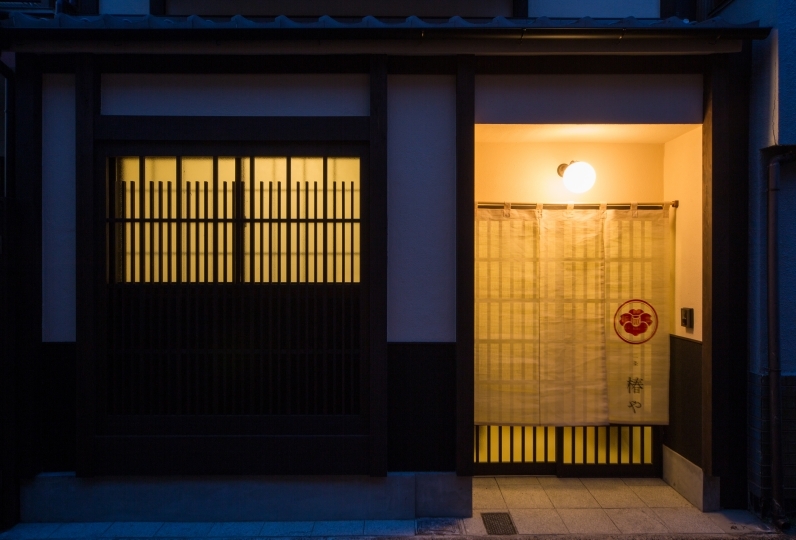 It is a Kyoto house which is renovated into a modern one with the beauty of Kyomachiya maintained. 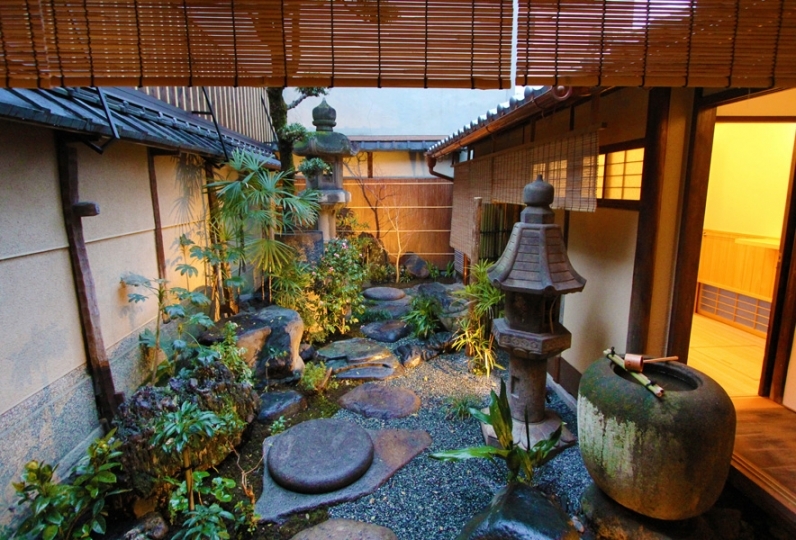 The goodness of the old such as the entrance with an unfloored space, an inner garden with a stone washbasin, a ceiling with a high atrium and a ranma (carved wooden panel) with work of sculptures, are maintained while the wet areas such as the kitchen, bathroom, washroom and the toilet as well as the dining room are reborn into a more comfortable space, making your stay pleasant. 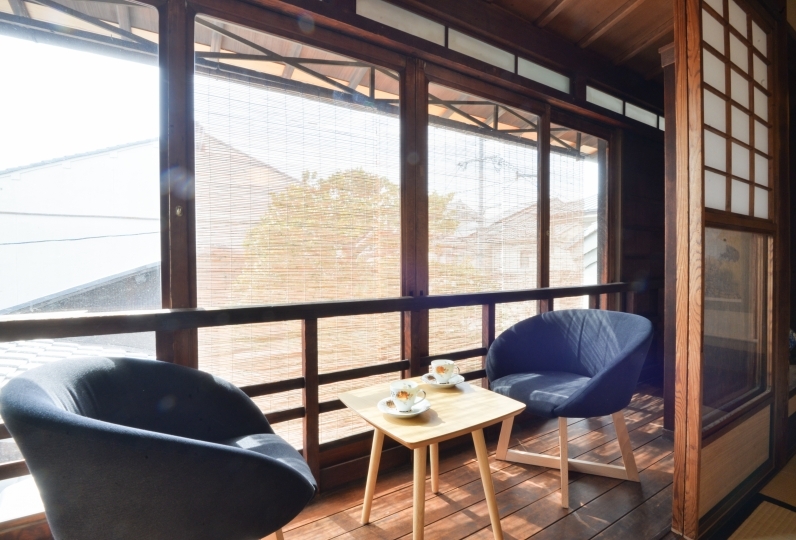 Up to 7 people may stay and because the whole house is booked, you do not have to share with other guests. You may use the whole house. 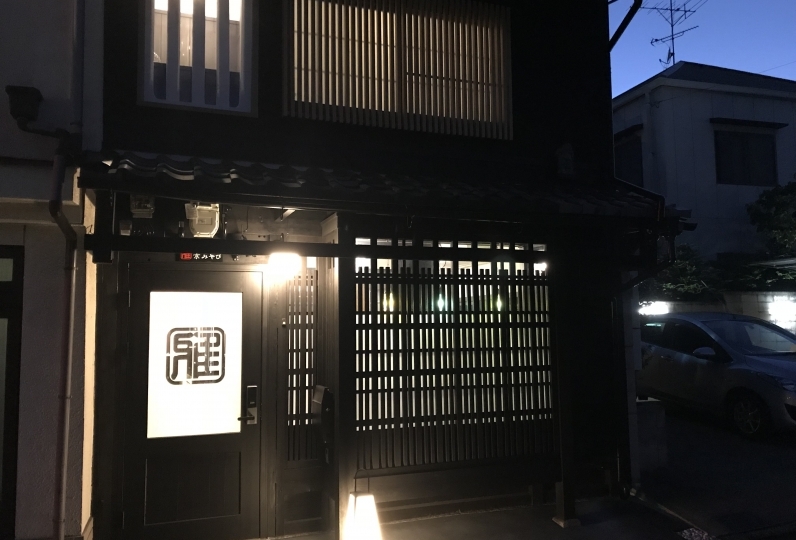 Not only is there the Nijo castle, the world heritage, within walking distance, but there are also the city bus stop and many railway stations. 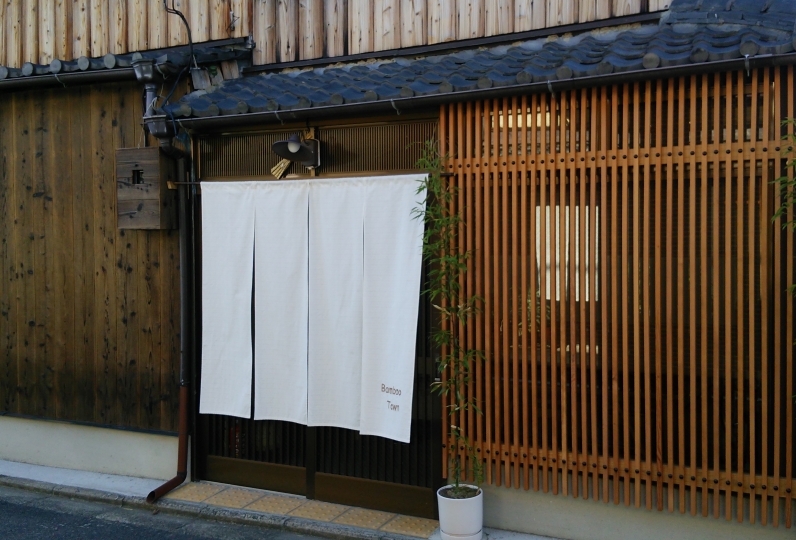 It has easy access to many areas in and out of Kyoto city. 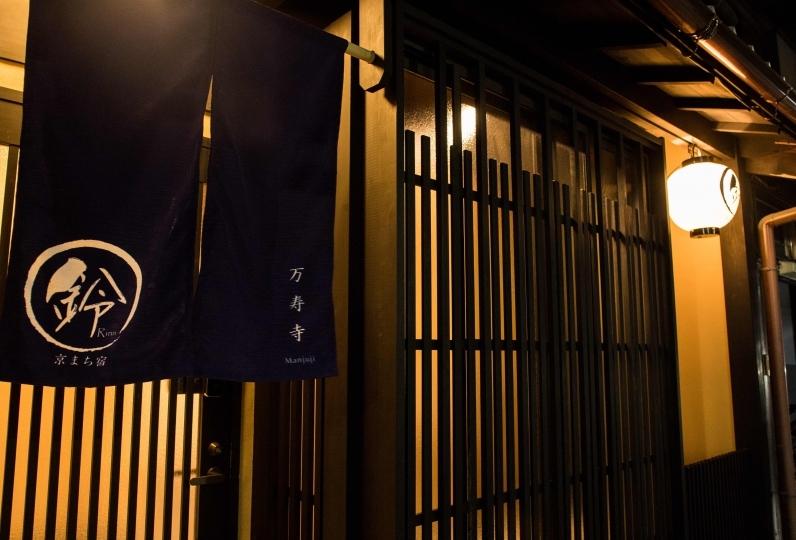 You may also see the Gion festival which is a the biggest in Japan, nearby. There is a bathroom with a bathtub. 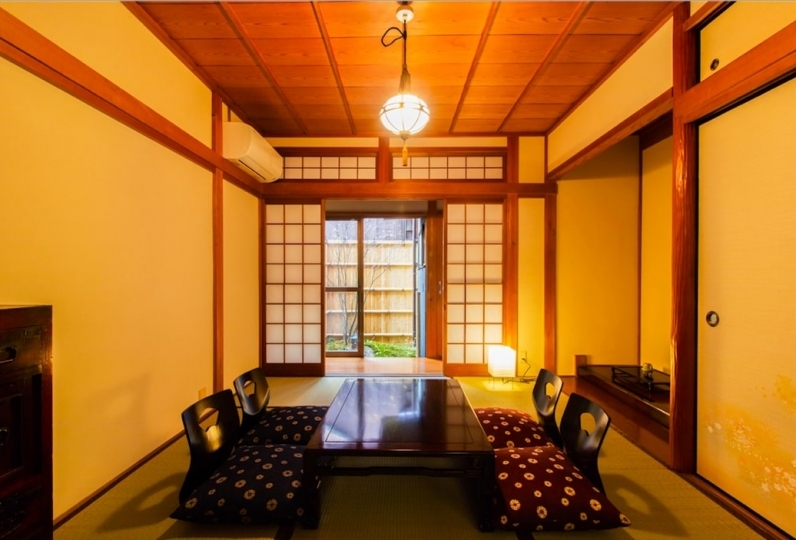 Entrance, dining room: On the unfloored space exclusive of a machiya is a dining table for 7 people made from natural wood. There are 4 free bicycles. 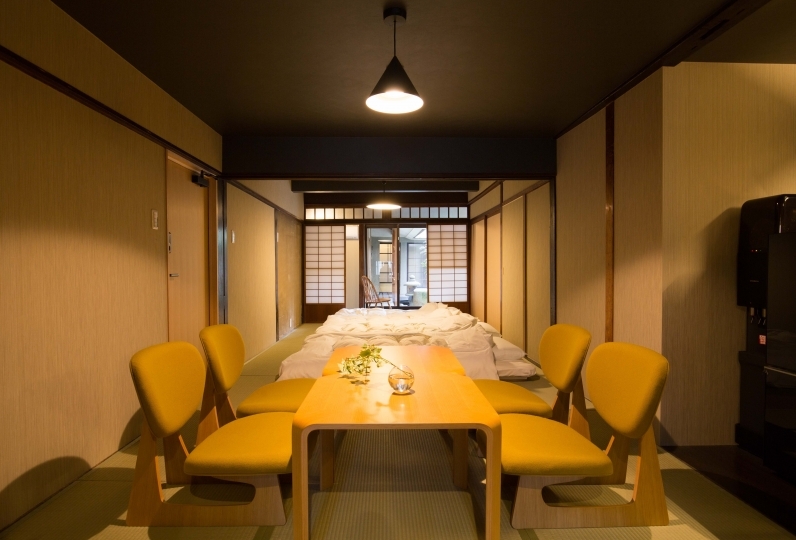 Japanese style room: There will be a television, a low dining table and a floor cushion and you may use as a living room. 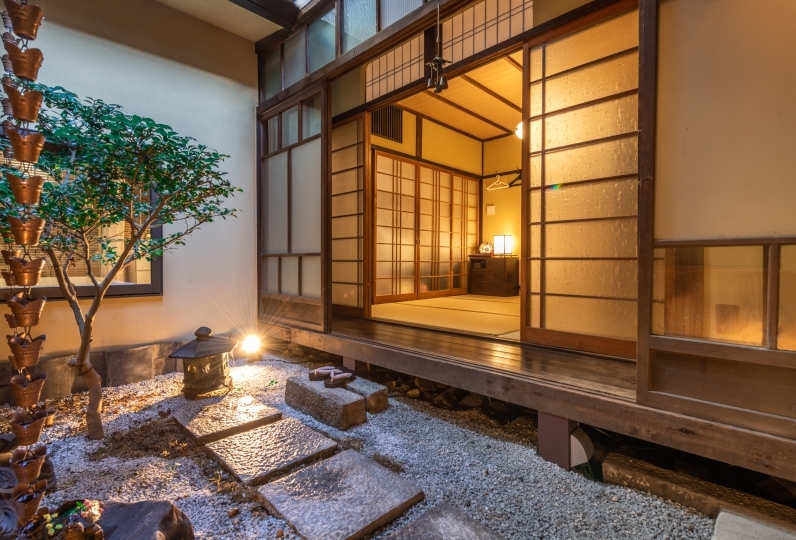 When you open the fusuma (sliding door) there will be a genuine Japanese inner garden, and the bonsai, stone washbasin will make your stay in the machiya, a sophisticated one. 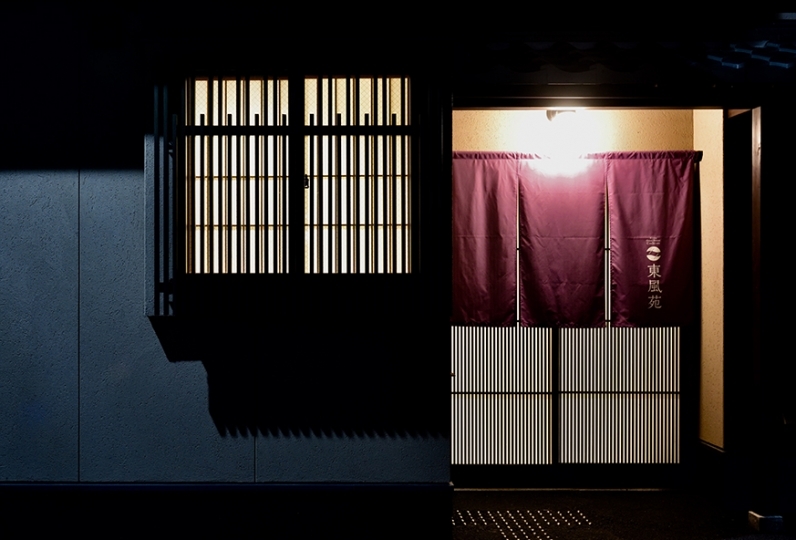 In case of stay of 6 people or more, there will be futons for 2 people prepared in this room. Kitchen: There are basic cooking utensils and basic seasonings. Bedroom for 2 people: It is a room with 2 single beds. 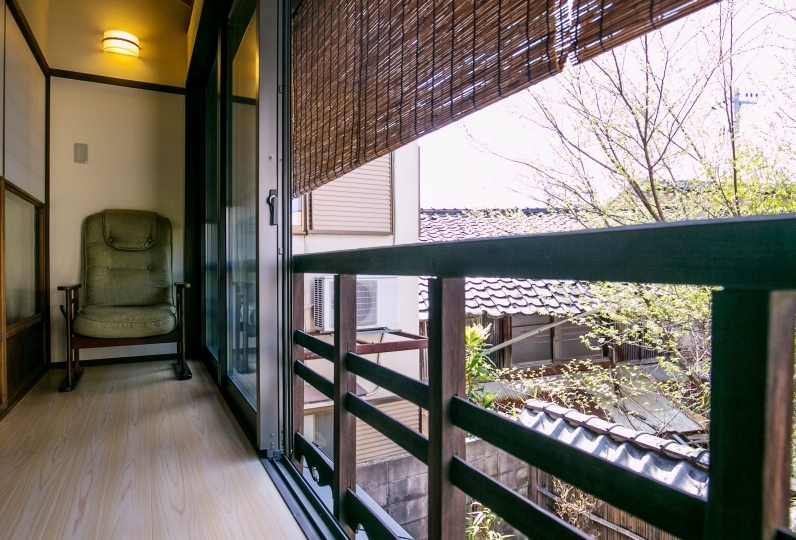 A Japanese bedroom for 3 people: In case of use of 3 people or more, futons will be prepared here. 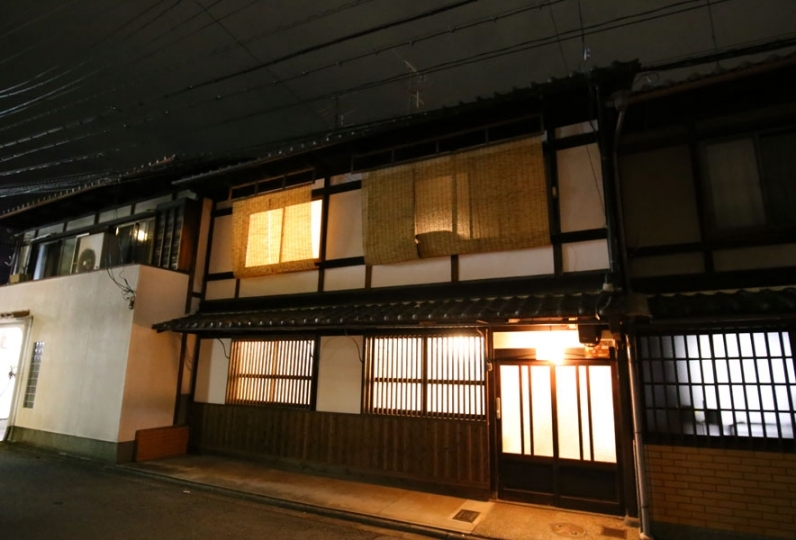 The consumption tax and the Kyoto city accommodation tax is included in the fee published on the booking site. Please consult the Relux concierge desk for bookings of 7 people.